We thought the last mechanical mod we posted was pretty cool, but this one is AWESOME! 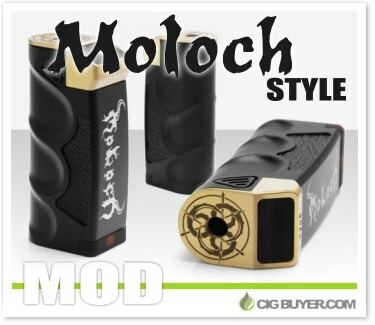 The Moloch Mechanical Mod by El Diablo is a compact, single 18650 mech mod that provides a nice alternative to your basic, tube-shaped devices. It’s aluminum body is ergonomically shaped and aggressively styled, with a decorative brass top cap, recessed hand grip, large ultem firing button and gold-plated copper internals. With its hybrid 510 connection, a hybrid compatible atty will connect straight to the battery for less voltage drop and plenty of hard hitting vapor.